Are you stashing your footwear only to find them getting dirtier and distorted? Here is a lesson to learn that you don’t need to stash your footwear. 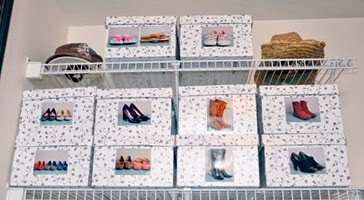 Refer this blog as a crash-course to embrace smart ideas to store all your footwear at ease. 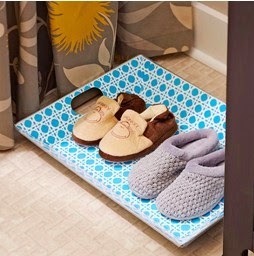 Eliminate entryway clutter transforming a bookcase or an end table into a fashionable hub for your shoes. Benefits- Hanging shelf dividers with galvanized tray holders, keeps your boots upright and above the floor. 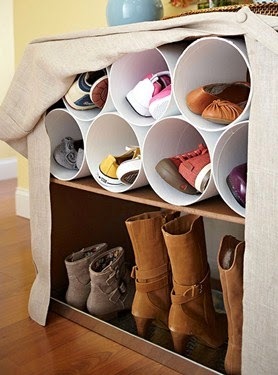 On the other hand, short PVC pipe sections keeps your favorite pairs neat and clean in the cylindrical shelves above. How about getting rid of the mess and odor of the thrown away footwear? 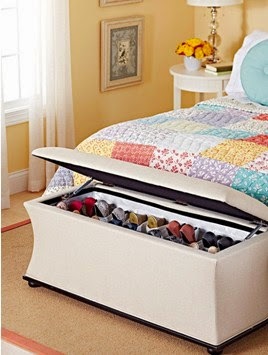 This shoe storage idea attached to your bedside in the form of a cute bench is surely to have your notice! Bonus tip- Make sections in the shoe bench with wood or any other preferable material. This will make your task of locating your favorite pair a cinch. Perhaps now you will agree that serving trays are not just kitchen items anymore, won’t you? This is the best way to park your favorite pairs in a forgotten bathroom corner of your house without dirtying the floor! Last but not the least, storage boxes with picture labels always works, don’t they? Further, you can always rely on our reliable self-storage and commercial storage solutions in Abu Dhabi for your storage needs.